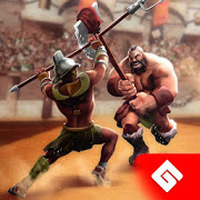 "Fight and conquer new territory in this gladiator game!" Game Goal: Travel to ancient Rome where you will have to raise your empire from scratch where it is essential to grow gladiatorial academies with which you can then defeat your rivals. How to Play: You will have to build all kinds of buildings, each with different functions, but above all you will have to train and improve your gladiators with which you can fight turn-based combat. Graphics: It has a colorful aesthetic that draws attention to its attractive designs in characters, settings and objects and also has fluid animations at all times. Game play: It stands out for being a combination of a struggle game with the ones of construction in which you will find numerous buildings and improvements, but mainly dozens of fighters that have unique abilities. Languages: English, Spanish, Italian, French, German, Portuguese, Russian, Chinese and Japanese interface. Developer: Genera Games is based in Spain	- Developer recommended by Android Market. Installation requirements: A minimum of 47M of free memory space and Android 4.0.3 or higher. Do you like Gladiator Heroes? 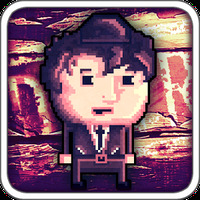 Get consumed in this action-packed arcade adventure! Play the classic game of Battleships on your device!